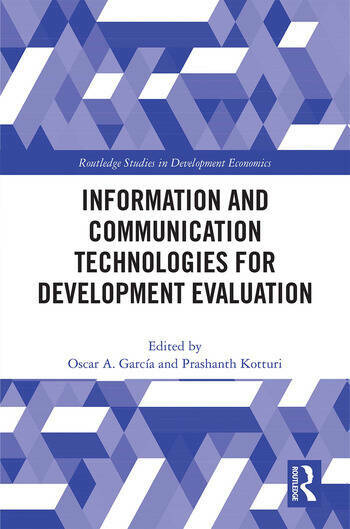 Written by a team of expert practitioners at the Independent Office of Evaluation of IFAD, this book gives an insight into the implications of new and emerging technologies in development evaluation. Growing technologies such as big data analytics, machine learning and remote sensing present new opportunities for development practitioners and development evaluators, particularly when measuring indicators of the Sustainable Development Goals. The volume provides an overview of ICTs in the context of evaluation, looking at the theory and practice, and discussing how the landscape may unfold. It also considers concerns about privacy, ethics and inclusion, which are crucial issues for development practitioners and evaluators working in the interests of vulnerable populations across the globe. Among the contributions are case studies of 6 organizations using various technologies for data collection, analysis, dissemination and learning. This valuable insight into practice will be of interest to researchers, practitioners and policymakers in development economics, development policy and information and communication technology. Oscar A. Garcia is the Director of the Independent Office of Evaluation of the International Fund for Agricultural Development (IFAD). Before joining IFAD, Oscar served as head of the advisory services at UNEP - Technology, Industry and Economics Division, Paris, providing guidance to the Partnership for Action on Green Economy. Prashanth Kotturi joined the Independent Office of Evaluation in October 2012 and is currently working as an Evaluation Analyst. Since then he has worked in lead and support roles on a wide range of evaluations ranging from project evaluations, country portfolio evaluations to corporate level evaluations and evaluation synthesis. Before IOE, Prashanth has worked in the financial services industry and with microfinance institutions in his home country, India.